WHEN DO WE NEED FORGIVENESS? When I talk about spirituality with people, the conversation train often runs smack into a wall when the notion of forgiveness comes up. It seems that, unless you’re referring to Criminal Code convictions, many folks don’t think they need to ask anyone, God included, for forgiveness. Well, I guess that depends on your point of view. And for many of us, me included, our viewpoint is often shaped by the world in which we live. Even though we often don’t realize it. A quick example? Downloading music without paying for it. People do it all the time, including church-going Christians. The rationale, technically speaking, is it’s not illegal and everyone’s doing it. So what’s the problem? Well, having an affair on your significant other isn’t illegal, either. But would any of us ever figure it’s OK – even if they had an affair on us first? As a person of faith, I know there are all kinds of things I’ve done and not done that require forgiveness. I ignore my wife or, conversely, overreact to something she’s said or done and become unreasonably upset. I don’t maintain steady contact with my brothers – neither do they, with me or each other, but that’s not the point, is it? I can’t control others, but I can try to control myself. And when the inevitable happens and I fail to control myself adequately, I can turn to God for forgiveness and help. 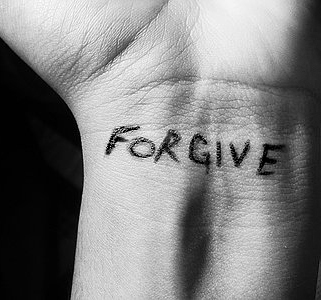 And, thanks to the death and resurrection of Jesus (whom serious Christians believe is the Son of God), forgiveness of ALL sins is possible for ALL people (in fact, read this for an example of incredible forgiveness: http://wp.me/p2wzRb-6K). Why do I need forgiveness from God when it appears my poor actions weren’t against him? Because He knows my potential; in fact, He put that potential in me (and you). And, more than anyone else (me included), He knows when and why I fall short. For me, acknowledging the necessity for forgiveness, from people around me AND from God, is an important step in humility. It doesn’t mean I’m a wretched person, it just means I’m a work in progress. Are you? Post your thoughts below and let’s have a conversation. If you’re over 40, you might get a chill as I resurrect a shadowy name from the 1970s: Son of Sam. This was the nickname David Berkowitz gave himself as he terrorized New York City, killing six people and wounding seven in 1976-77. In prison since then, he claimed during his trial that he was under the influence of a demon who possessed his neighbour’s dog. Berkowitz was in the news not too long ago, responding to a 2011 Fox News reporter’s inquiry to reveal he would no longer seek parole because his Christian faith has already made him free. But that’s not the point of this essay. The point is more controversial. Has the Son of Sam been forgiven by Jesus Christ? Has he been given “a whole new life”? The answer, if Berkowitz is sincere, is YES. If he came to believe that Jesus died to pay for his crimes, and as a result asked for the forgiveness Jesus made available to every person on this planet, then YES. If he’s committed himself to following Jesus, then YES. Isn’t this outrageous? That’s the scandal of God’s grace (unmerited favour) through Jesus. It isn’t just available to you and I for those times we exceeded the speed limit or lied to our supervisors or paid for some service under the table. It’s available for everything. For everyone, including the Son of Sam. Our culture may not consider this a good thing. But it is. In fact, I regard this grace as one of the things that most separates Christianity from other faiths. And it is based on a complete lack of what some cultures call a “caste” system that ranks people’s value. When Paul, one of the earliest Christian missionaries, wrote in the Bible that “all of us have sinned and fallen short of God’s glory,” he didn’t include a footnote that singled out some people or groups as having sinned more (or less). That statement is the great equalizer for all humanity. See? No caste system. So, if you’re carrying around something that pesters you like a persistent backache, do what David Berkowitz has done: place your trust in Jesus, ask for forgiveness with complete sincerity, then receive it. And believe it, because that forgiveness is as real and enduring as death, taxes, and annoying reality TV shows. Even if you’re not burdened with guilt, give some consideration to this Christian faith that goes beyond our wavering ability to forgive. It provides permanent grace, an extraordinary gift to a broken world.